So many mixed emotions! 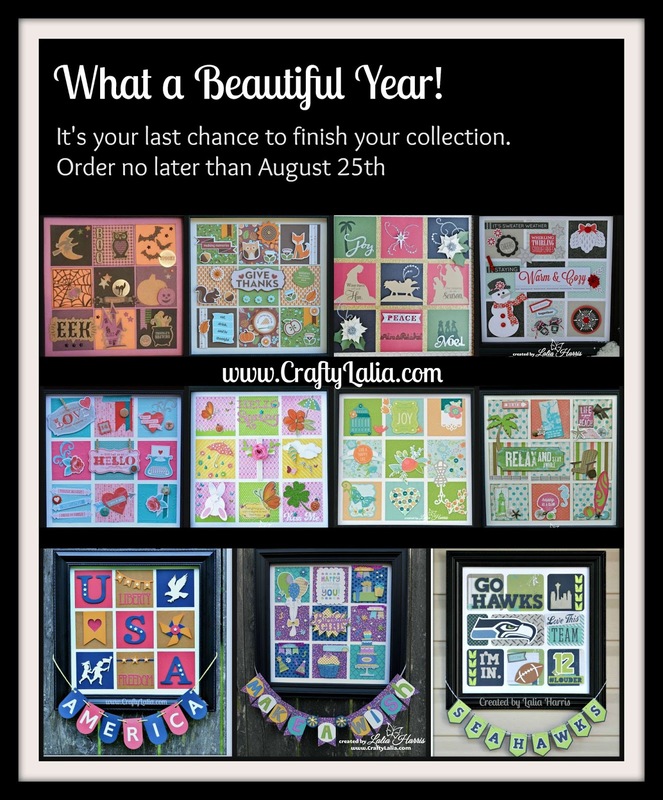 I've loved theses papers but I'm so excited to feature the all new 2015 Annual Inspirations too! I have absolutely loved using Brushed (left card) and Confetti Wishes (right card) this last year. 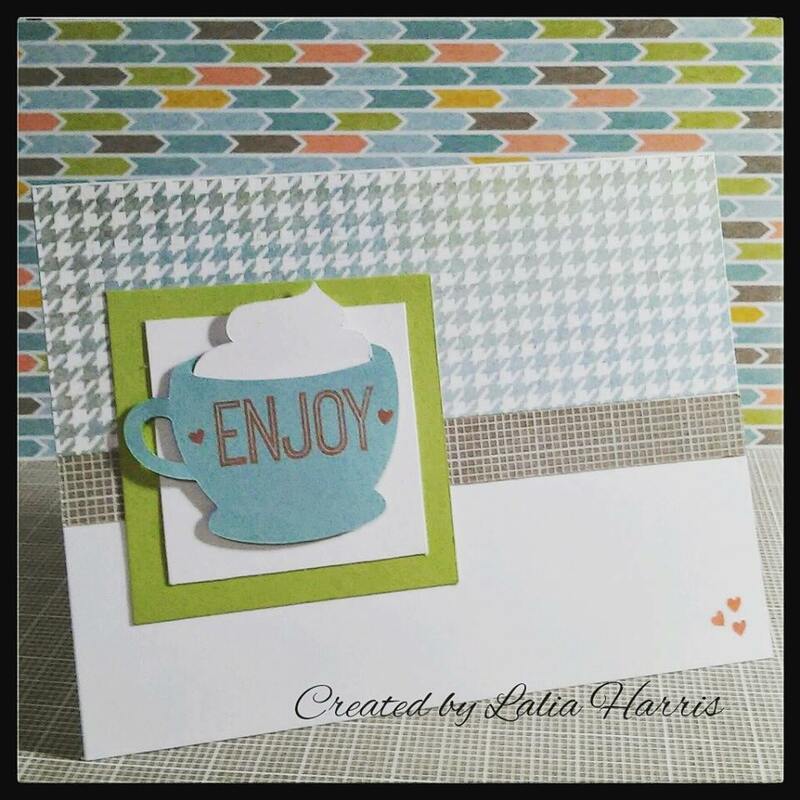 The latte cup card is from the new Zoe papers and from the new Artistry Cricut cartridge that are already available. 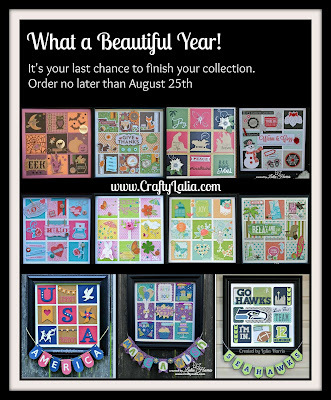 It's not too late to request a virtual, pre-stamped kit or sign up to attend. Please contact me no later than noon on Wednesday to RSVP. 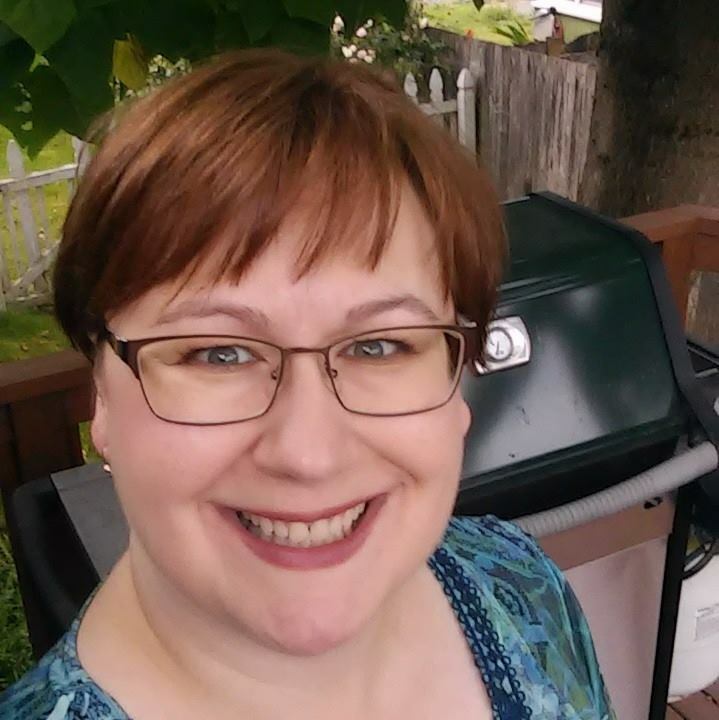 Cost is $15 for the workshop or $18.50 for a pre-stamped kit shipped directly to you next week (within US). Leave a comment below to RSVP. All comments are moderated and I will not publish comments if you leave me your email address in the message. I cannot take hardly any of the credit for these cards. The floral card was designed by Dawn Montagano, the latte cup is everywhere because it's a shape on the new Artistry cartridge... but I used my wonderful upline Michele Rowley's card for my inspiration and the last card was inspired by many many cards that have banners that I've spotted on Pinterest (not just 1 card). Stay tuned! I'll be doing more of these virtual card kits in the coming year. I'm looking forward to sharing my designs with you. 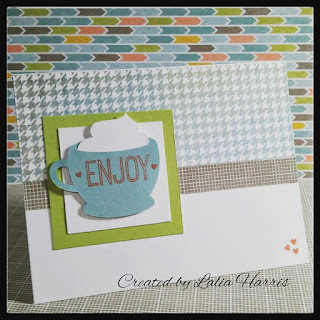 I created this card over the weekend using the early release products. I love the dogs and cats on the cartridge. I also appreciate that there's 3 of each. Not all dogs look the same! 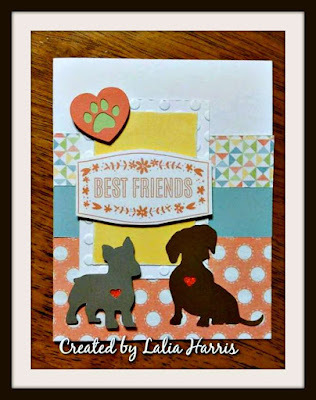 The "Best Friends" stamp is from the Artistry Cricut Collection so when you purchase the collection, you'll have everything you need to start creating a card like this. Zoe papers, Coral Shimmer Trim & Artistry Cricut Collection. Back to scrap-lifting. 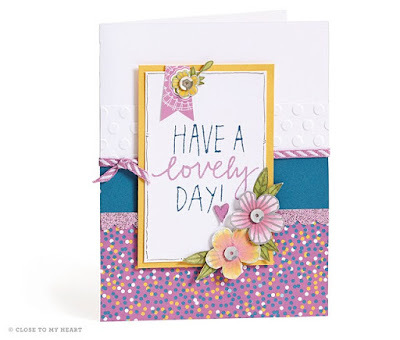 I used this beautiful card from the current catalog as my inspiration. This card design is actually Design #26 from the Make It From Your Heart Volume 2. This is a how-to booklet that gives you the cutting guide for card and scrapbook layouts. It gives me the structure. After that's it the fun part of embellishing! What have you scraplifted lately? I want to thank everyone who joined me we created wall art for our homes and offices. It was a ton of fun to fill my shadow box with something new each month! Just a reminder, the supplies for all of these samplers have been discontinued and are in short supply. They will become unavailable no later than August 31st. If you wish to purchase one of these kits, please contact me ASAP or no later than August 25 so I can order supplies if they're still available. I have a complete list of all samplers here. Most of them also included extras as I tried to use up all the supplies in each kit. I can't wait to start designing a new series of workshops for the next Idea Book & Catalog year. What would you like to make? This cartridge isn't fancy. Instead it's amazing. No 3D boxes. But it has a mason jar on pg 2 that is lovely. No scrapbook layouts but tons of titles, icons, borders and backgrounds. And of course a coffee cup, latte cup on page 5 and items for tea on later pages. There's 700 shapes, many of which are layered making 442 grouped images in Cricut Design Space. And a font that can be shadowed with a bold setting, normal or handwritten with a pen. CTMH has released the shape index so you can see everything that's part of the cartridge. And it's available as a Digital Cartridge for Explore users in Cricut Design Space for a $20 savings. A code will be shipped with the cardstock & 3 exclusive stamp sets. Are you excited about this cartridge? I have more artwork to show you!